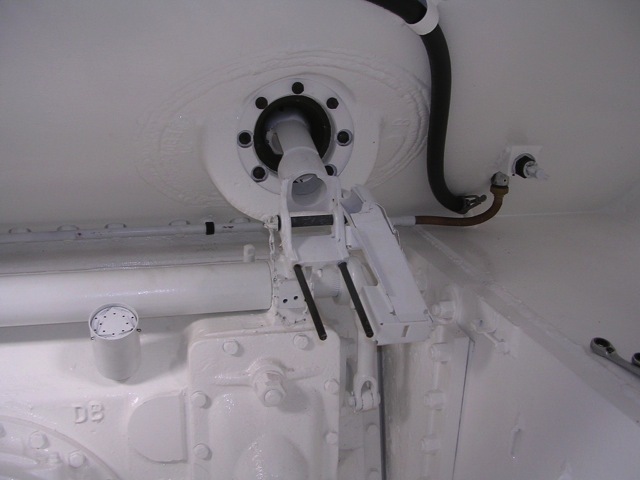 Q61 Here is the bow gun mount installed. I got the nos mount from BMG Parts. Also see the roof air vent drain hose and also the final drive breather. And the right side of the front harness.